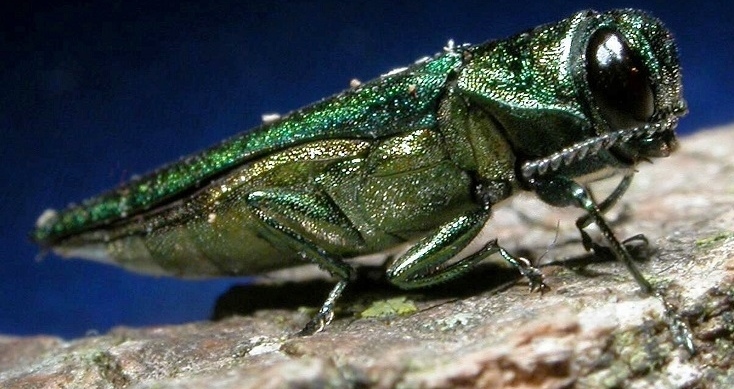 The Department of Conservation and Recreation (DCR) announced a state-wide Massachusetts quarantine to help slow the spread of the invasive Emerald Ash Borer (EAB). The quarantine begins Monday, November 17, 2014. The quarantine order means that certain products will be prohibited from moving outside the regulated area, including all hardwood firewood (any piece of wood smaller than 48 inches), all ash nursery stock and any ash lumber that has not been treated. Proper wood treatments include the removal of bark and half an inch of wood, dry kiln sterilization, fumigation and heat treatments. Massachusetts is one of 23 states to have discovered the EAB within its borders. The invasive species was first detected in Massachusetts in Dalton in August of 2012. Shortly after, DCR announced a quarantine of Berkshire County. Immediately following the detection, DCR began work with the Massachusetts Department of Agricultural Resources (DAR), the United States Forest Service (USFS) and the United State Department of Agriculture’s (USDA) Animal and Plant Health Inspection Service (APHIS) to formulate a plan for dealing with the invasive insect. DCR engaged in a public outreach campaign, including press releases and a public meeting. Plans for future surveys and mitigation strategies are currently being discussed to continue to help identify the extent of the infestation. 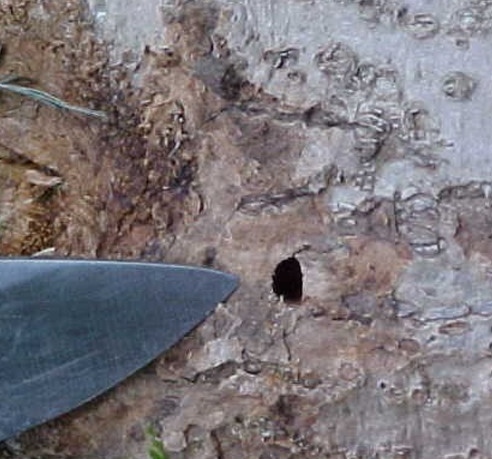 Ash trees also remain one of the thirteen regulated host trees for the Asian Longhorned Beetle (ALB). The 110 square mile ALB regulated area in Worcester County restricts the movement of ash or any other ALB host tree beyond the regulated boundaries. The ALB regulated area includes the City of Worcester, the Towns of Shrewsbury, West Boylston, Boylston and parts of Holden and Auburn. More information about EAB can be found @ www.emeraldashborer.info. Report suspicious insect sightings @ http://massnrc.org/pests/eabreport.htm.